I returned from our sunny spring break trip to…rain, rain, and more rain. Yes, it is spring in Ohio, and rain is forecasted every day this week! I know all the rain is worth it…April showers bring May flowers, or so they say. We did notice the grass in our yard is much greener after being gone for nine days. Gardening season is almost here, and we will appreciate the precipitation then! 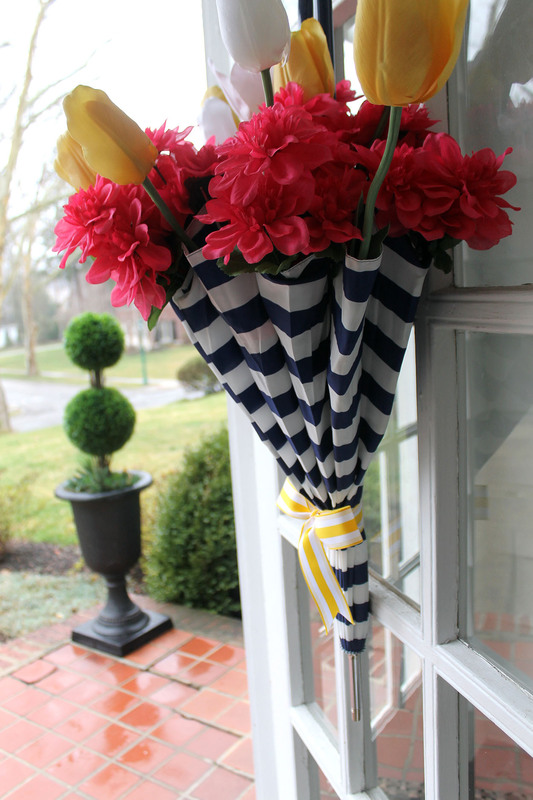 Until that time, I decided to brighten the entrance to our home with a little twist on the rainy season. 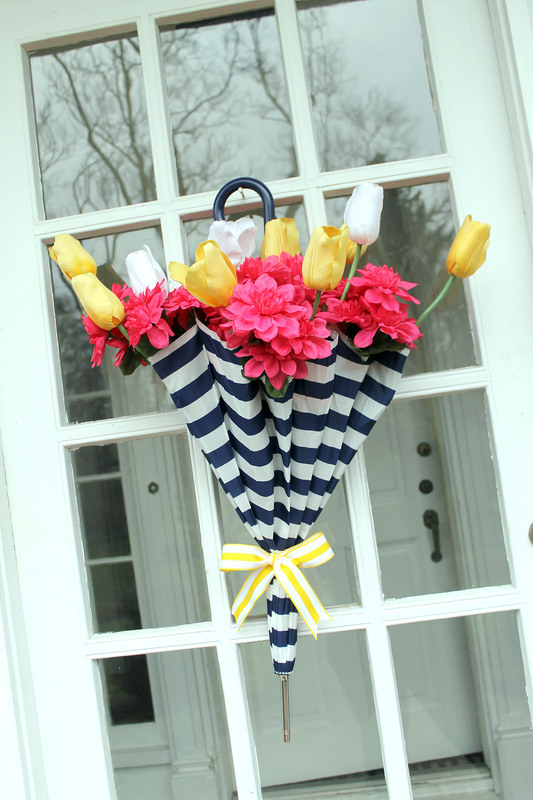 I created this door hanging using an umbrella, some silk flowers, and ribbon. 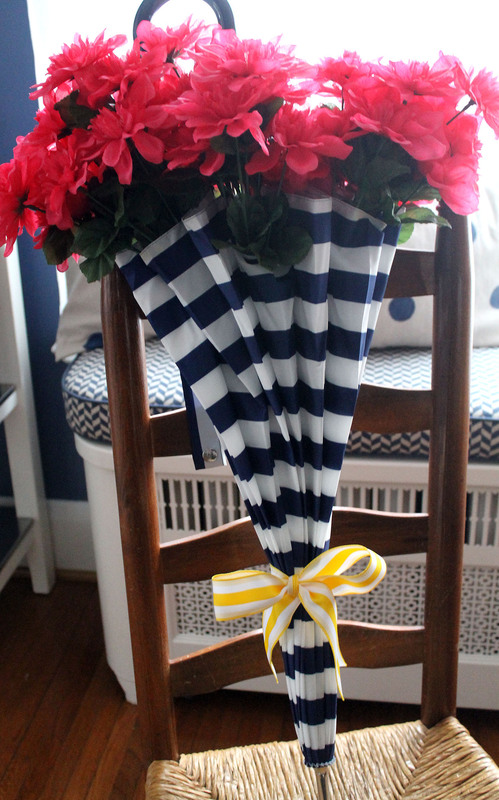 I love this navy and white striped umbrella! It matches the exterior paint color of my house so well, but you could use any umbrella you have on hand. 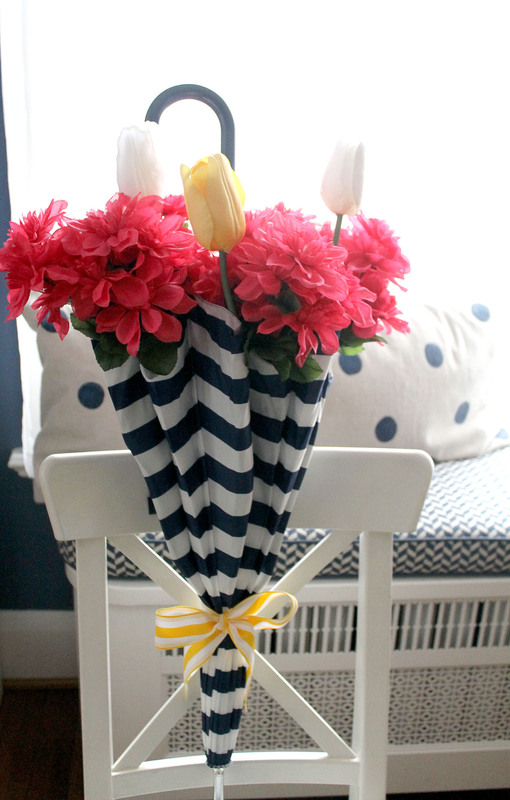 I went with bright pink, yellow, and white flowers to accent the navy blue. First, I tied a piece of the ribbon around the lower portion of the umbrella. Then I started placing the pink flowers inside the folds of the umbrella. 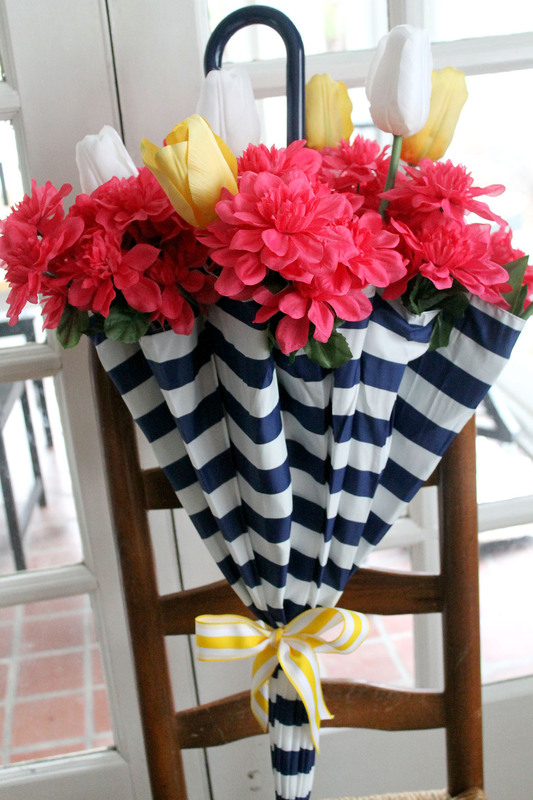 I propped the umbrella on a chair so I could see how it looked as I arranged the flowers. 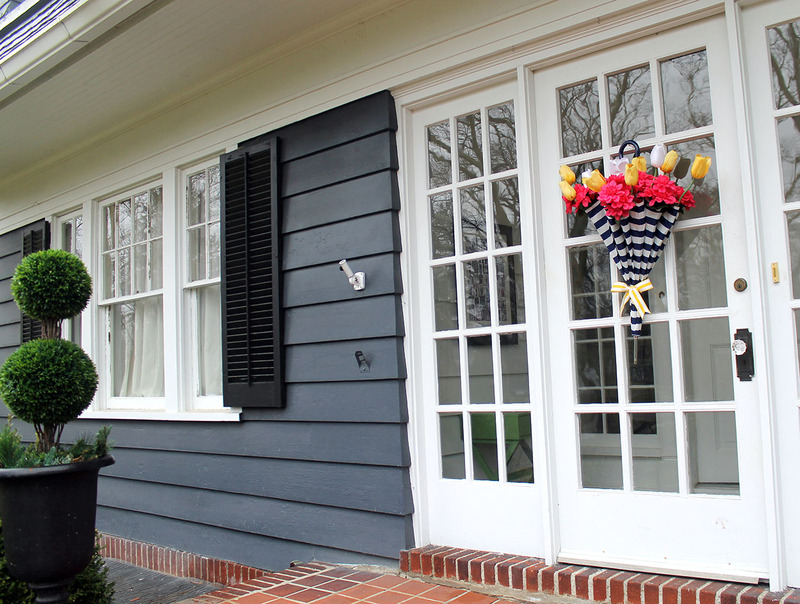 After all the pink flowers were in place, I started adding the white and yellow tulips. 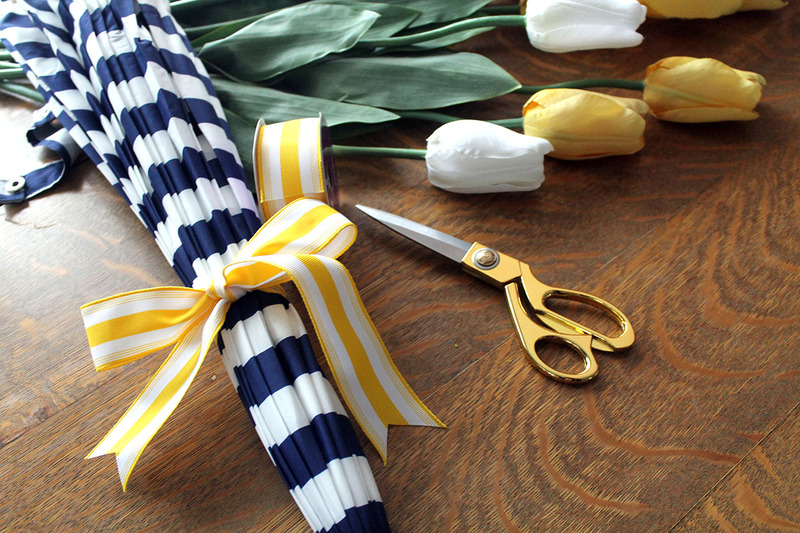 The stems on these flowers were a bit longer, so I bent them a little before placing them in the umbrella. 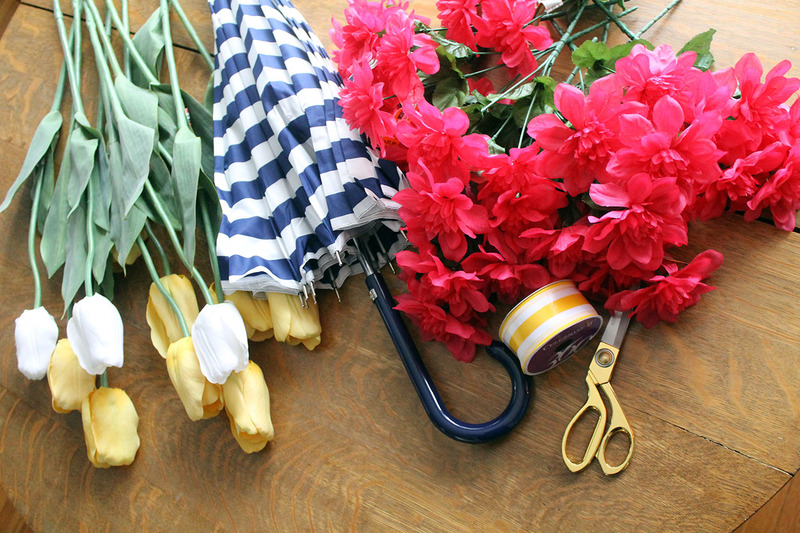 The more flowers I placed in the umbrella, the fuller it looked. I really liked how it was coming together! I couldn’t wait to hang it on my front door…even though it meant going outside in the RAIN! 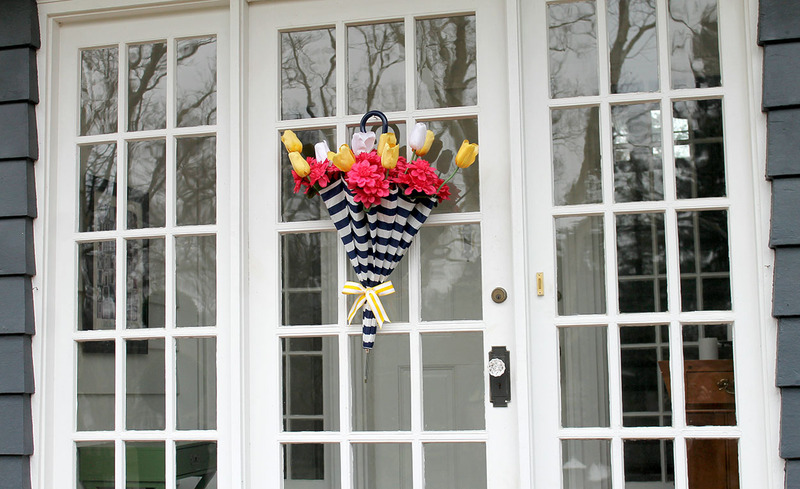 Such an appropriate and fun way to welcome guests to our home this spring!